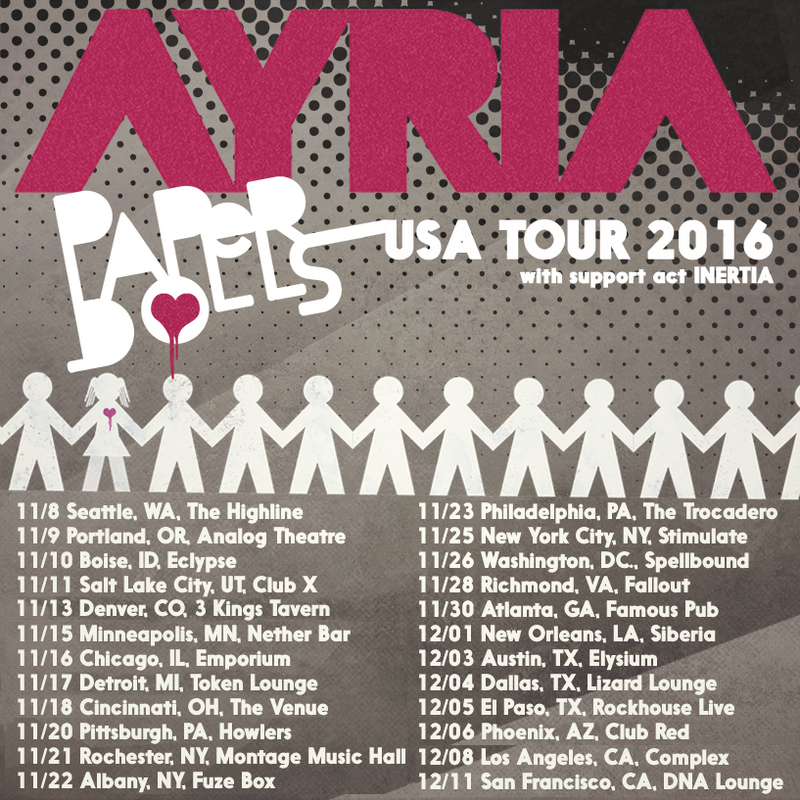 USA Paper Dolls USA Tour this November & December. Here’s the final list of shows! Come out and dance, sing, and enjoy yourselves as the first US tour since 2013 hits this fall! 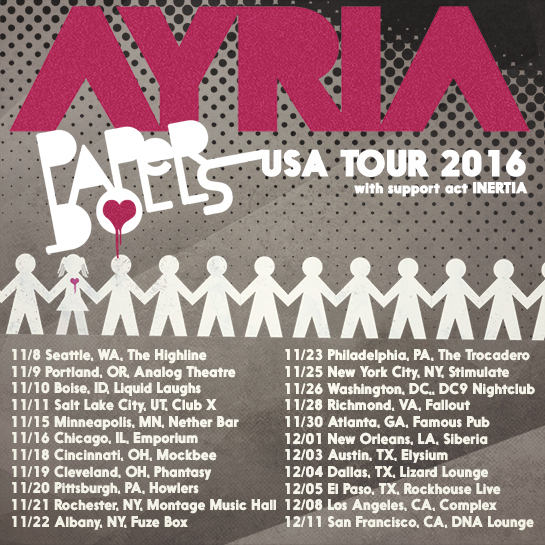 Track to get notified if Ayria is touring near your city. Here comes “Feed Her To The Wolves” my new 4-track EP and the first follow-up release since “Plastic Makes Perfect” album (2013). This EP releases October 23, 2015. Pre-Order now, using the discount code “glitter” for 25% off, and get 1 track now (streaming via the free Bandcamp app and also available as a high-quality download in MP3, FLAC and more), plus the complete album the moment it’s released. This digital EP preludes my upcoming full length release “Paper Dolls” with more news to come on this release soon…. Ayria has become an established and influential icon of the electro-industrial scene making a strong impact in clubs and on stage touring the world. Jennifer Parkin’s project uniquely blends old-school industrial with dark electro-pop packaged in a unique cyber-anime-goth-pop aesthetic. Ayria is currently in the studio finishing up the upcoming and 5th release “Paper Dolls” to come out in 2016. “Plastic Makes Perfect” was released on May 24, 2013 and received amazing reviews being declared the BEST Ayria release to date. Described as dripping with emotion, a danceable post-punk-electronic hybrid fitting between industrial and pop. Thick synth programming mixed with angelic vocals, one reviewer described Ayria as a combination of Nitzer Ebb and Garbage. You can listen for your self, and hopefully you’ll support me (Jennifer Parkin AKA Ayria) directly by ordering your digital copy on Ayria’s Bandcamp, or you can order a personally signed CD, or Special Edition Box Set plus check out New T-shirt Designs on The Ayria Shop.